Pole Dance Gloves with beading. Especially designed and developed for the sport of Pole Dance and Pole Yoga. The gloves provide the advantage and practicality that all participants can use from novice to expert. The gloves with tack are recommended for the Spinner Poles or to stabilize the hands when learning more difficult moves. PLEASE MEASURE AROUND THE ENTIRE HAND. Our gloves should be tight fitting. 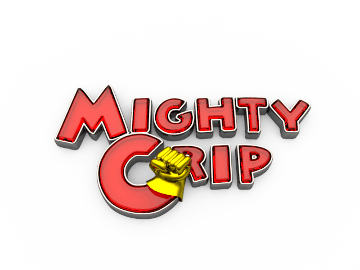 To prevent the gloves from slipping against the skin of your hands, apply a small amount of Mighty Grip to the palms of your hand before putting the gloves on. 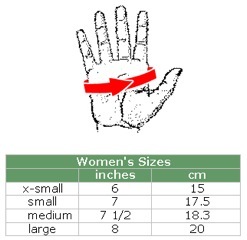 Measure your hand with a tape measure around the knuckles of your hand (as shown in picture above. Each bead is hand sewn to the glove for a more durable bond. Available in either Black or Pink with tack or without tack.